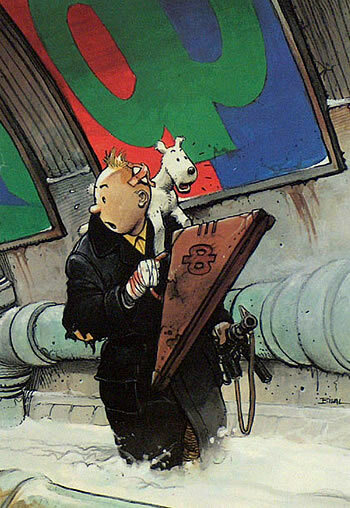 Snowy, a white Fox terrier, is Tintin’s four-legged companion. They regularly save each other from perilous situations. Snowy frequently “speaks” to the reader through his thoughts (often displaying a dry sense of humour), which are supposedly not heard by the characters in the story except in Tintin in America where he explains Tintin about his absence for a period of time in the book. Like Captain Haddock, Snowy is fond of the Loch Lomond brand of whisky, and his occasional bouts of drinking tend to get him into trouble, as does his raging arachnophobia.